Nerdcore asks:Why the lack of love for the symbiotes? Venom's in the Dark Avengers, fair enough, but what about Anti-Venom and Carnage? And are you gonna leave Toxin in Marvel Purgatory? JQ: If it's symbiotes you like, Nerdcore, then the next few months should be right up your alley! Not only will Venom be playing the role of Dark Spider-Man in Dark Avengers, but he'll also be headlining his own “Dark Reign” limited series: The Sinister Spider-Man. Here's a sneak peek at the first cover! And both Anti-Venom and Carnage will be turning up again before the winter months. But Toxin? No immediate plans for that particular symbiote-spawn right this second. This will be the first limited series to feature Mac Gargan's Venom. I'm not sure how I feel about this... I think I would rather have a full blown Venom series instead of a Venom posing as Spider-Man series. 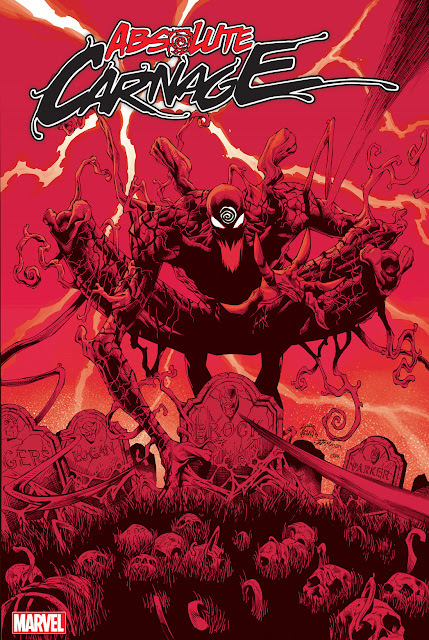 I'm guessing that Carnage will be a part of the Anti-Venom Dark Reign series. However, its a shame they are putting Toxin on the back burner. Why introduce him just to have him sit n the shelf? Below is the cover he referred to.